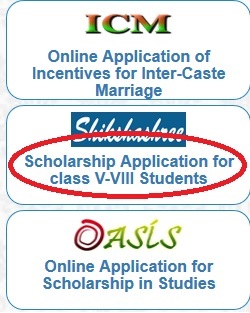 Sikshashree Scholarship to SC/ ST Student for Class V To VIII. The Backward Classes Welfare Department executes a good number of educational schemes aimed at spreading education among the SC and OBC in the State. The objective of the scheme is to provide financial assistance to improve their participation in Pre-matric stages and minimize the incidence of drop-out. There is a ceiling of annual family income not exceeding 2.5 lakh. The class wise rates of such grant paid through Bank Account only. 55,000 SC students have been brought within the fold of this scheme. Each student residing in the Hostel gets hostel grant for 10 months only AT Rs.750/- per month. Thus the total amount of grant for each students is Rs.750 x 10 = Rs.7,500/- only in a year. There is a ceiling of Parents/Guardians income of Rs.36,000/- p.a. These hostels are attached to the Junior High or Secondary Schools, run and managed by the respective school authorities. There are at present more than 1522 school attached hostels all over the State. The students are advised to communicate with the Hostel Advisory Committee through their respective Head of the Institution for admission into Hostel just after admission into new class. Step 1 : Visit the official website of Backward Classes Welfare Department West Bengal through provided above. 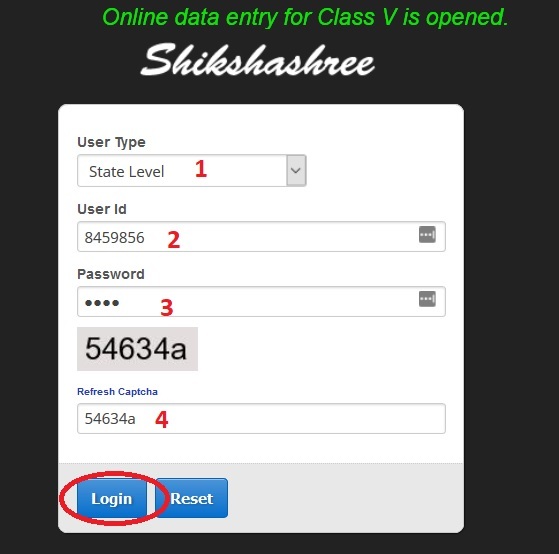 Step 2 : Then, Click Sikshashree Scholarship Application link in the right side of the home page. Application Id is mandatory for any type of changes required. So, while emailing please ensure that the Application Id of the student is correctly given, and in case of changes more than one, the change request must be in word or excel format. Ashram Hostels for both SC boy and girl students are set up by the BCW Department within the campus of the recognized schools. Students reading in Class I to X usually get admission into such hostels subject to availability of seats. For maintenance, the students are paid at the rate of Rs. 750/- per month for the entire academic year. In addition, they are given cots, bedrolls, garments, soap, kerosene out of the fund made available by the Department. At present there are 98 such hostels with 3,131 seat capacity. There is a ceiling of Parents / Guardian’s income of Rs.36,000/- p.a. The students intending to stay in Ashram hostels are to apply to their respective Head of the Institution for admission. ** Application form need not necessarily be obtained from Block / PO office and can be used by copying or downloading from the official website of the BCW Department. ** Attested copies of all documents in support of claims for scholarship to be furnished along with this application. Original documents will be required to be produced for verification at the time of submission. ** All column are to be filled up. No column should be left blank. I have tried so many times to renew my students but I could not. How can I do this? Help needed. Please help me to get User ID & Password. I am a college student, how can I fill the form? please tell me. I am waiting for your reply. There is no option for selection of District, Municipality/ Block, and School, what can I do now? Tell me if there is any scholarship for OBC under shikshashree criteria. A new scheme named “Sikshashree” have been launcher for SC Day scholars studying In classes V to VIII implementation during 2014-15 by merging the existing schemes of Book Grant, Maintenance Grant. IN OUR TRAINING IT WAS SAID THAT, THE FORM CAN BE UPLOADED OFFLINE ALSO. WHAT WILL HAPPEN NEXT? NOW BDO PUNDIBARI SAYING “NO”. INTERNET FACILITY IS NOT AVAILABLE IN ALL REMOTE AREAS SCHOOLS. I read in class 12th. My age is 16. Can I fill up this form? What is the last date to submit the form? What documents needed to submit for Shikshashree scholarship? I am an ITI student. I did not get yet the payment of stipend in the year of 2016. How can I get various scholarship forms and how do I fill up these easily ? Where do I submit that form ? APPLICATION FOR SIKSHASHREE SCHOLARSHIP TO SC / ST STUDENT STUDYING IN CLASS V TO VIII IN English and Bengali is available in the official website.